Why Does Samir Abed-Rabbo and a Few Gullible Palestinians Get Into Bed With Atzmon? There seem to be quite a number of fools who have fallen for Atzmon’s ‘Wandering Who’ including Professors John Mearsheimer, Richard Falk Petras, as well as a few Palestinian fools like Samir Abed-Rabbo. But do the latter know that Atzmon is also an opponent of the only campaign ever to have got the Israeli government rattled, so much so that they introduced a special anti-Boycott law rendering support for boycott unlawful? Below are a few quotes taken from interviews and articles by Atzmon and below is an e-mail exchange with Atzmon which I’ve posted elsewhere on the blog. It is such a good example of Atzmon’s arrogance, ‘my book is endorsed by the most important people in our discourse’ that is almost pathetic in its worship of the powerful and mighty. bambi, do you realise that my book is endorsed by the most important people in our discourse? it really takes long for the penny to drop.. may because you have never made a penny..
Ah yes, Atzmon the author. Any fool can write a book, the question is what it contains. In your case not much from what I've seen. But don't dodge the question. Do you stand by your previous remarks about the academic boycott being akin to book burning? Simple, isn't it? You are certainly a book burner... In case you didn't gather it by now, I am an author.. Very big difference between the two as far as I can tell.. I can't imagine why you would supported something that's so ineffective. And what is the point of raising the question of the vulnerability of Palestinian artists? Is that a reason not to disrupt the performances of the IPO? Such a strategy leads to doing nothing for fear of retaliation. Indeed it is reminiscent of Margaret Thatcher's opposition to sanctions on Apartheid in South Africa. It would hurt the Black Africans most of all. So what, apart from waging a war against Jews, especially those in the Pls Solidarity movement, do you advocate? Yes I am an anti-Zionist. But there is no contradiction between that and being pro-Palestinian (although they are not the same). Your problem is that you aren't anti-Zionist which therefore means that you see the reason for the Palestinian plight as being Jews per se, not Zionism. There also no contradiction between being anti-Semitic and being a Zionist, as you well know. Why don't you try being honest for once instead of hiding behind vacant prose? Just admit that you find it difficult to support BDS for all the reasons you have given. Do you really think that BDS enthusiasts are blind to your Judeo centric actions and motivations? How are you going to protect Pls artists from similar Zionist actions... tragically, you are not Pls solidarity campaigners, you are merely anti Zionists ..
and you don't even understand the difference between the two.. I'm glad that you have finally been honest about the disruption of the BBC Proms and the IPO. It was a 'Jewish campaign'. How interesting. I'm sure activists involved in BDS will be more than interested to hear of your views. What was that about not being an anti-Semite? But below is the meat. Atzmon doesn’t support BDS (he pays it lip-service for cheap applause but he has never given support in any meaningful way). And here we have it in one. Because a ‘minor academic’ Dr Sue Blackwell was one of the leading supporters of an academic boycott and also a fierce opponent of Atzmon’s anti-Semitism, Atzmon retaliated by opposing the academic boycott. He termed it ‘book burning’ a phrase that David Hirsch of Engage could have come up with. We also see the reactionary elitism of Atzmon in the justification he uses – the academics were only ‘minor’! In fact as someone who spoke at the UNISON Conference which was the first trade union to support boycott I know, like Sue, that anti-Semitism doesn’t go down particularly well in the trade union movement. You have real people living in the real world, not the fake media hype bubble that Atzmon exists in. Yet in David vs Goliath - the remix An interview with Gilad Atzmon by Simon Jones Atzmon reverses gear. Or does he? He supports a boycott of individual Israeli thus transforming it into opposition to Israelis per se, rather than racists. This of course plays into the hands of those Zionists who maintain that the boycott is itself racist and unlawful under the indirect discrimination clauses of the Race Relations Act 1975 (now Equalities Act 2010). And here we get to it. 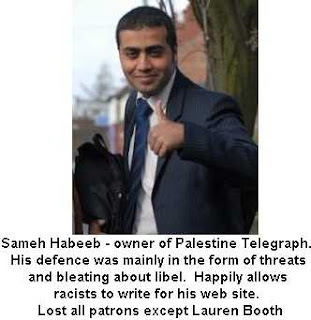 The credit crunch is the Zionist punch i.e. the economic crisis is the fault of the Jews, because for Atzmon being Jewish is to be a Zionist. It is Jewish power we have to confront and that therefore means the real battle is against Jews outside not inside Israel. Atzmon in a talk given to Scottish PSC, he agrees with Alan Dershowitz no less about Israel! Yes Dershowitz was getting mixed up by referring to colonialism. In fact pick up any early Zionist tract e.g. Ben-Gurion’s Rebirth & Destiny and what do you find? Repeated referernces to colonists. There was a Jewish Colonial Association and Bank. When colonialism was seen as a good thing the Zionists were happy to call themselves colonists and of course they had an open alliance with British imperialism. And that is the reality. 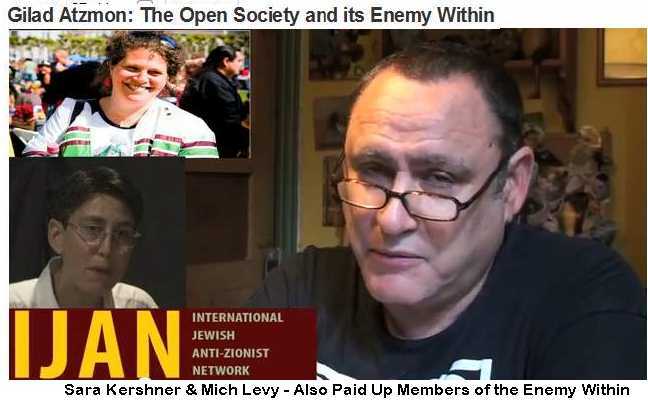 Behind all the hype and the endorsement by 3 idiot professors of his book, the fact is that Atzmon is an opponent of the only tactic Israel has ever understood – Boycott, Divestment and Sanctions. i. Why does Atzmon oppose BDS? Is it his Israeli connections? ii. Why do a few gullible Palestinians go along with this nonsense? Answers on a postcard to the ‘The Wandering Fool’. It would be easier to read if you and Gilad's comments were in different colors. tony'le hates Atzmon because he managed to destroy the smoke screen between anti-Semitism and anti-Zionism and spoiled tony'le "socialist-Commie anti Zionist Jew" party. Oh what a shame, there is nothing left for tony'le to live for. Tony has never met Atzmon. So how can he hate him? But Gilad, for it is he, manages to be more honest when writing 'anonymously'. 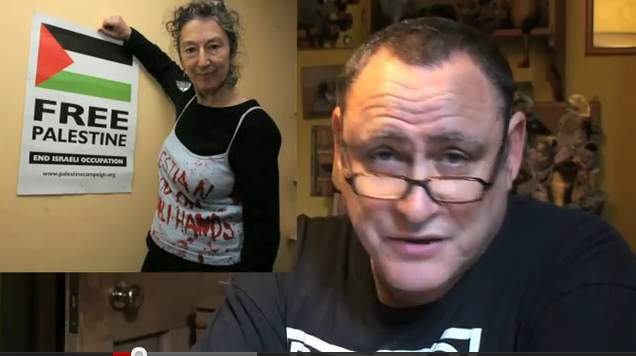 Atzmon thinks he has destroyed the 'smokescreen' betwen anti-Zionism and anti-Semitism. An interesting admission from our resident anti-Semite because this is EXACTLY what the Zionists say. 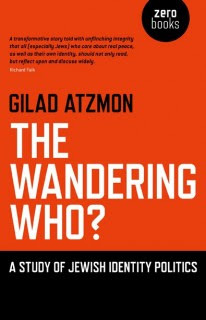 There is no difference between anti-Semitism and anti-Zionism and Gilad Atzmon confirms them in this. I realise that Atzmon now believes that his book will change the world. All it has in fact done is destroy the reputation of John Mearsheimer and probably Richard Falk. I guess that is an achievement of sorts. So yes, I've got everything to lilve for, not least Atzmon's demise! But do tell us Gilad - what is this '"socialist-Commie anti Zionist Jew" party.' Isn't that a tad bit close to your friend Adolf's analysis for comfort? gilad finds himself in the good company of ole adolf on the radical press canada site where a post by j.b. campbell asks the question What was Hitler’s unforgivable sin? answer begins Adolf Hitler was, is and will always be the most dangerous character in history due to his resistance against Judaism, combined with his eloquence in explaining why Judaism must be resisted. Some of us Jew-fighters have a personal motto, delenda est judaica, or Judaism must be destroyed. plenty of atzmon shite in the archive there 2010 interview arab news gilad quote "The attack on the aid convoy is a continuum of the same ideology that killed Christ. Christ’s killing is a symbol of a brutal assault against goodness, in the same way the attack on the aid convoy was against humanity and compassion.” atzmon's antisemitism in 2 sentences mearsheimer and falk sure stepped into some deep doo doo as did zero books deliberately or not. . .